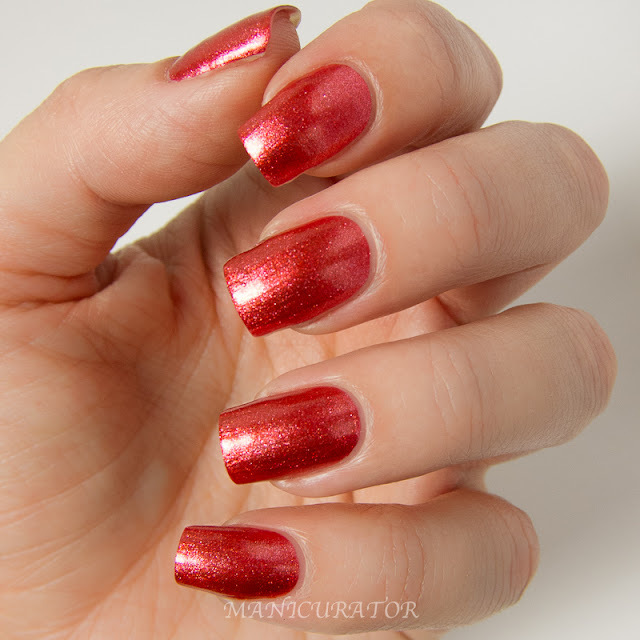 China Glaze Happy HoliGlaze 2013 Collection Swatch and Review plus GIVEAWAY! 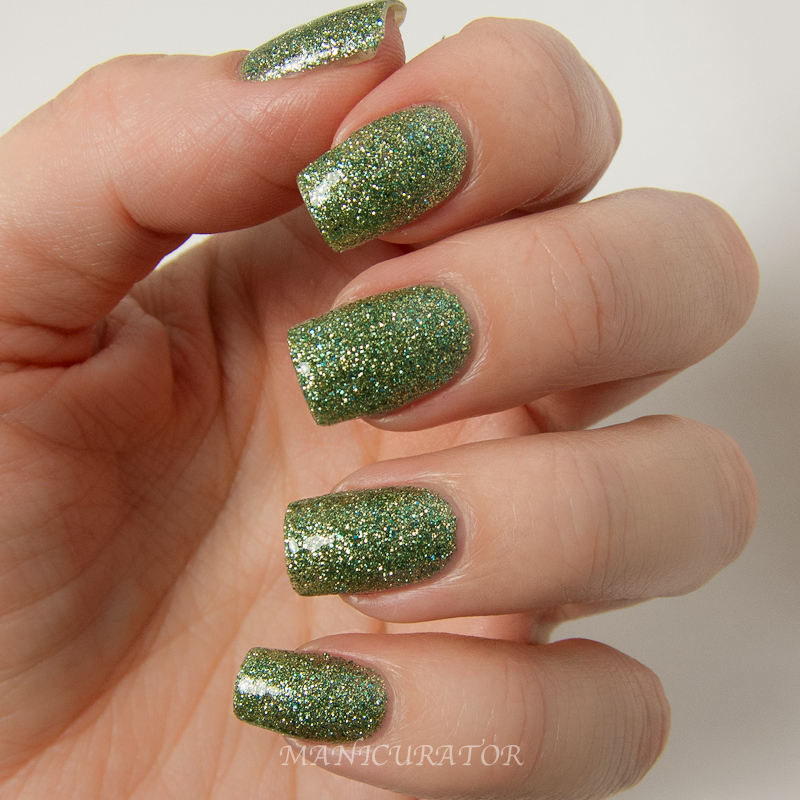 Here with a gigantic post and a gigantic giveaway courtesy of China Glaze. First of all showing you China Glaze Happy HoliGlaze collection which includes 12 polishes plus a travel size color top coat which is stunning! And then, a giveaway (enter via rafflecopter at end of review) for FIVE full sets to be won by five lucky readers! Let's get started! China Glaze Just Be-Claws with Travel In Colour top coat. 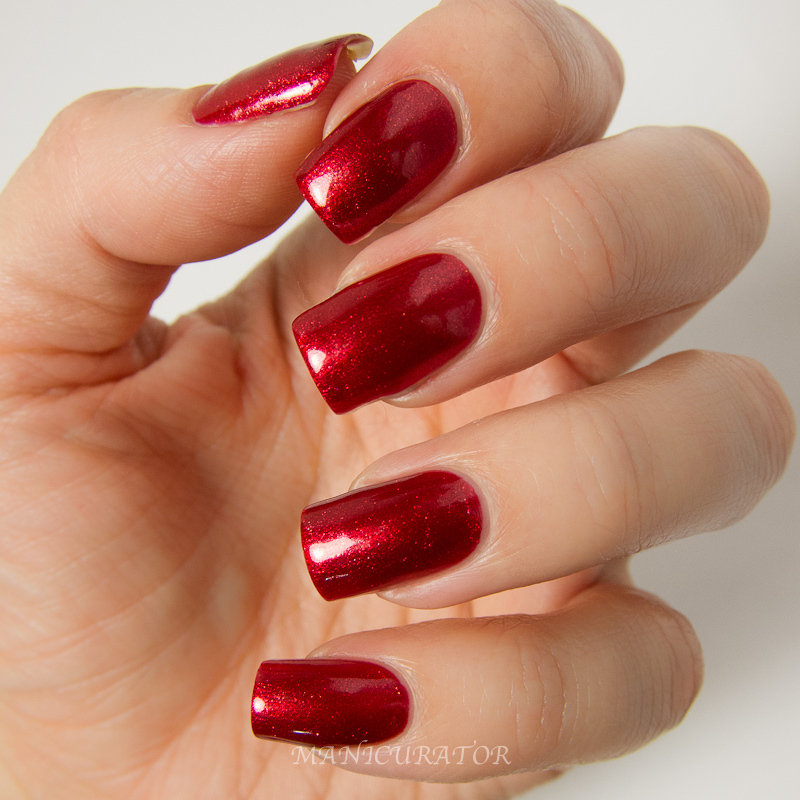 China Glaze Just Be-Claws - a beautiful red foil. Just about a one coat wonder! Really great formula! I have on 2 coats here but with careful application you can get away with one coat! 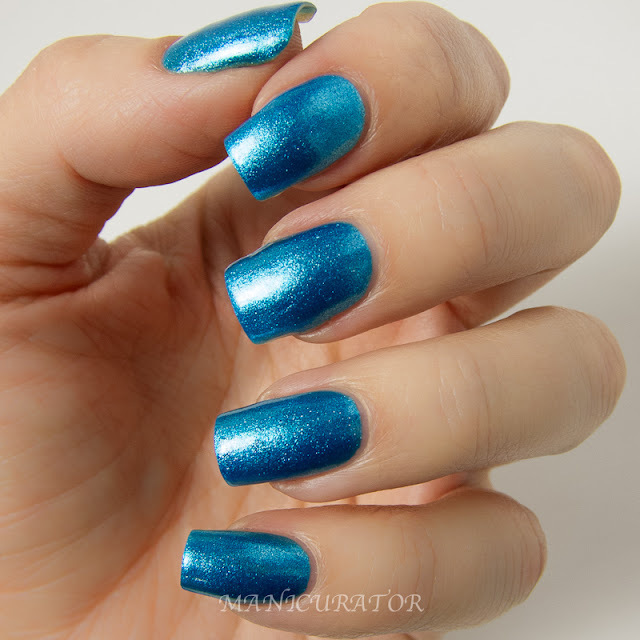 China Glaze So Blue Without You with China Glaze Travel in Colour top coat, looks amazing, right? China Glaze Mingle With Kringle with one coat China Glaze Be Merry, Be Bright - a multi-magenta purple glitter top coat. Great formula, applies easily. China Glaze Elfin' Around - a red rust foil. Another perfect formula. 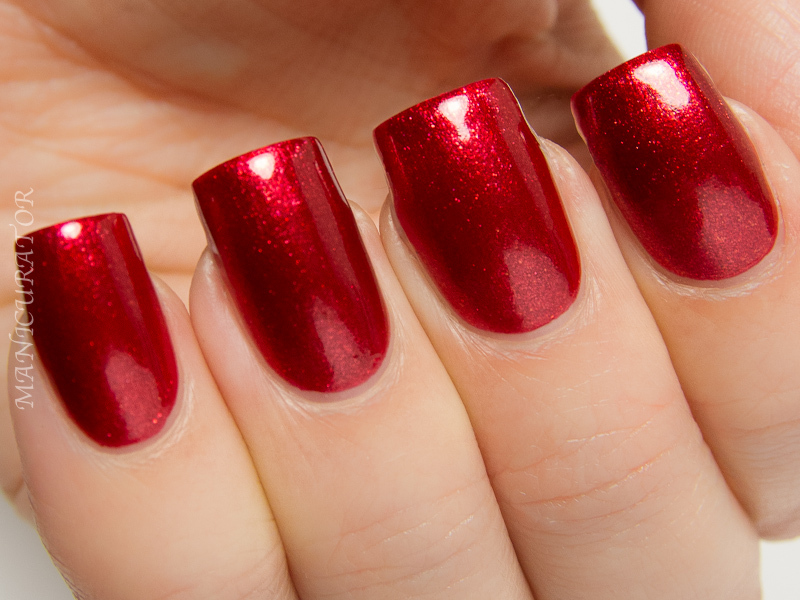 A nice take on a different shade of red for the holidays. 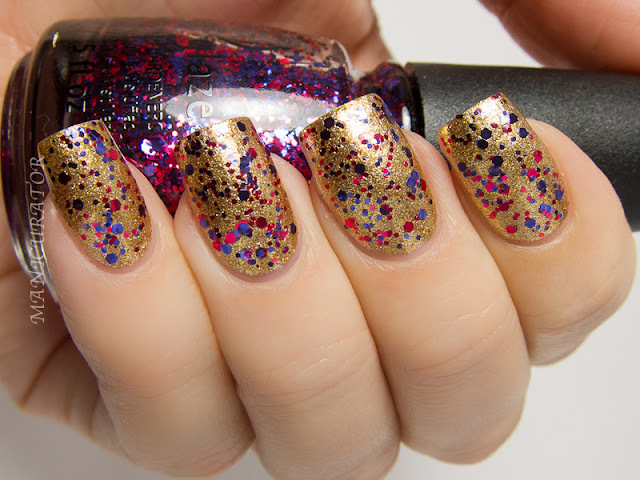 China Glaze Elfin' Around with China Glaze Bells Will Be Blinging top coat - a blue and gold multi color and multi shaped glitter. 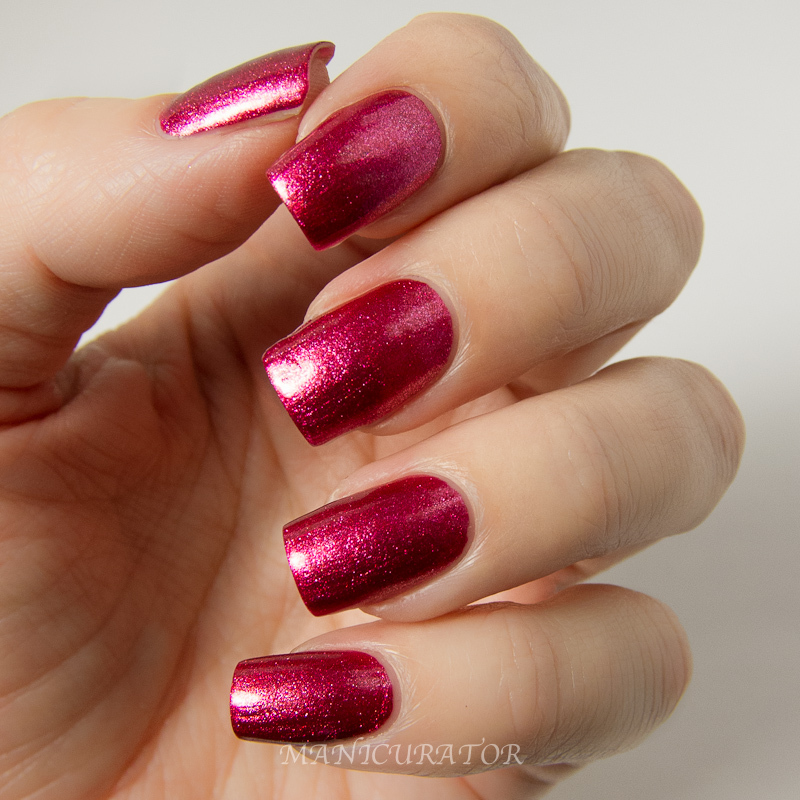 China Glaze Santa Red My List - a pink/red foil. Ack! I die! In love with this one :) Have I mentioned the formula? I know, I have but saying it again. These foils are amazing, full of pigment, easy application, one coat! 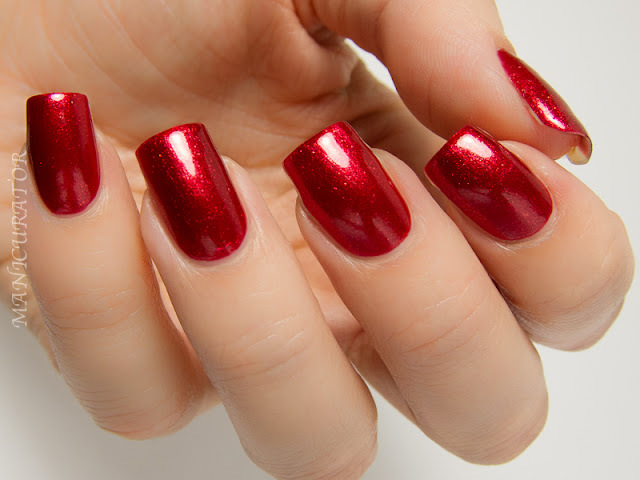 China Glaze Santa Red My List with China Glaze Your Present Required - a multi colored multi sized glitter. This glitter topped really found it's way into my glitter spot. 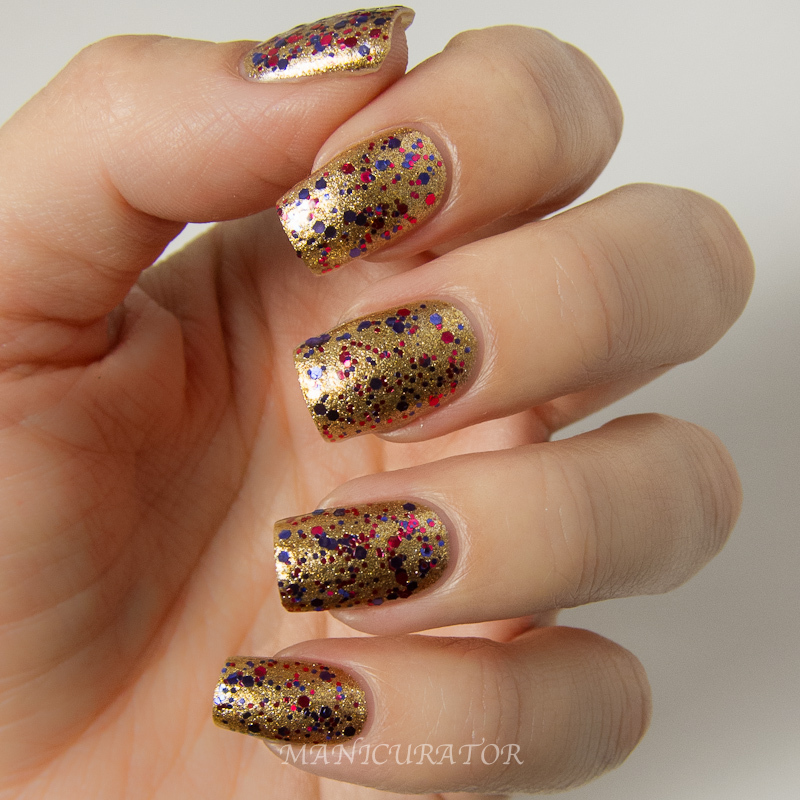 I will admit, I've been craving simple cremes and easy foils and slight shimmers these days to the all out glitter fest. But I just love this one with it's multi sized white matte glitters making it pop. 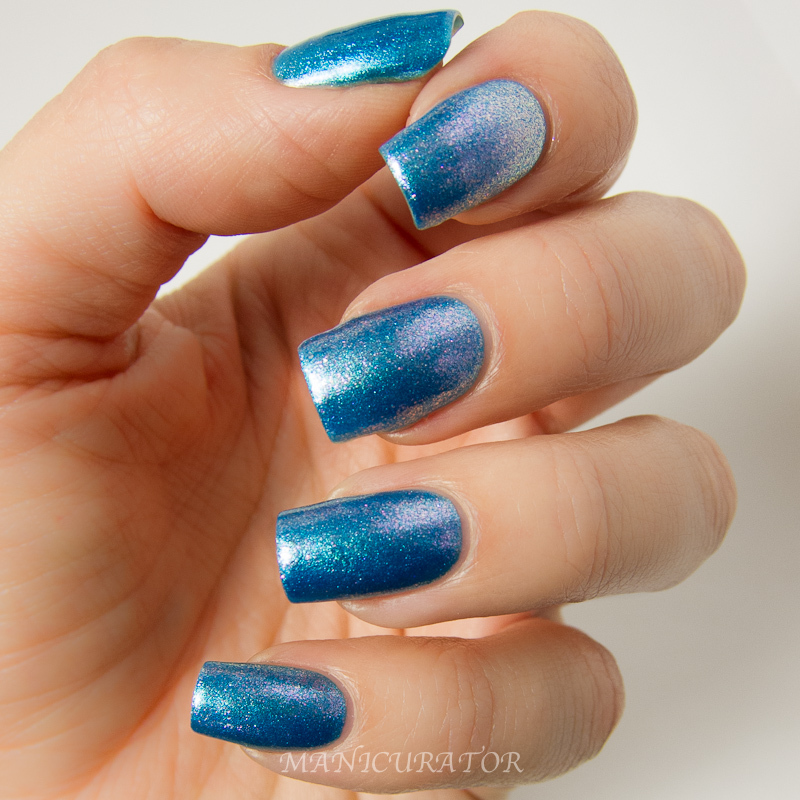 China Glaze All Wrapped Up - a midnight blue and purple glitter. Two coats here. Easy application and another great formula! 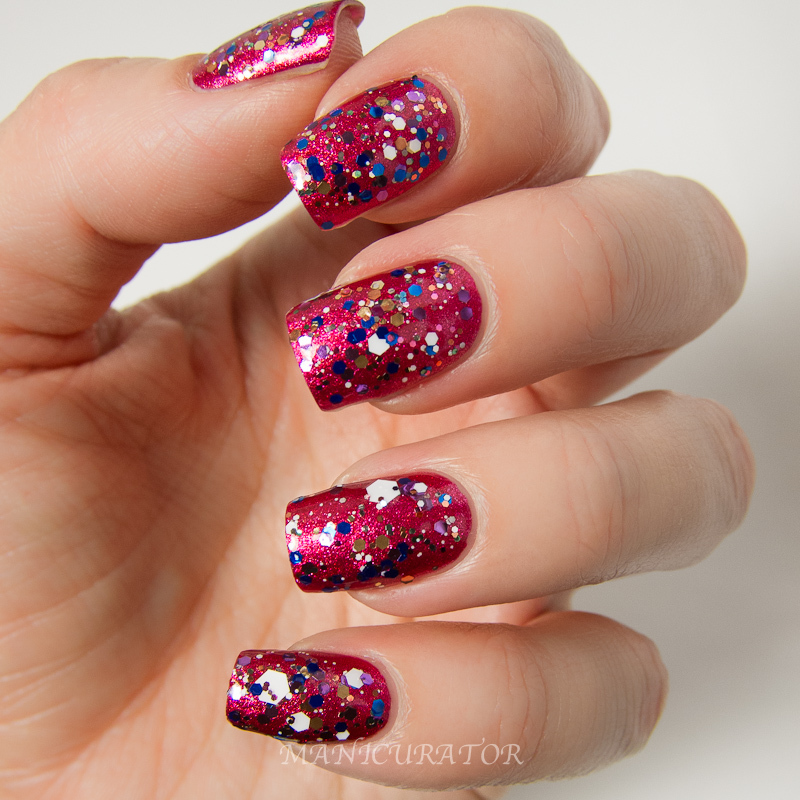 The next three glitters are so sparkly! 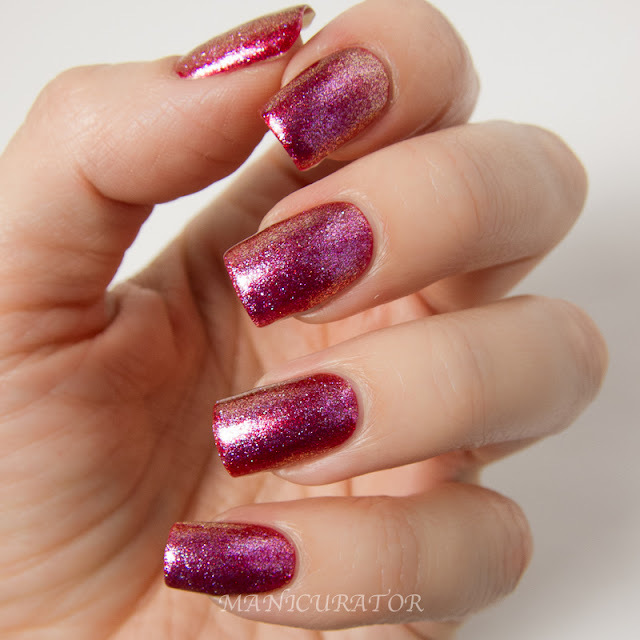 China Glaze Put a Bow On It - a magenta glitter. Oh yeah. Love it. Again, opaque in 2 coats, great formula. China Glaze Texture There's Snow One Like You - a limited edition white texture with white matte glitter. I've seen swatches of this that make it look, well, frankly unwearable. I chose to use one coat layered over one coat of white. Yes, I like it. Actually, I really like it! It feels a bit rougher and chunkier than I like, rougher than the other textures I've tried so far. So, I wouldn't wear it for an extended time. But many of us polish nuts don't keep a manicure on for long anyway. So I'd for sure rock this for a day or a special event. And of course, it would make awesome snow for nail art! 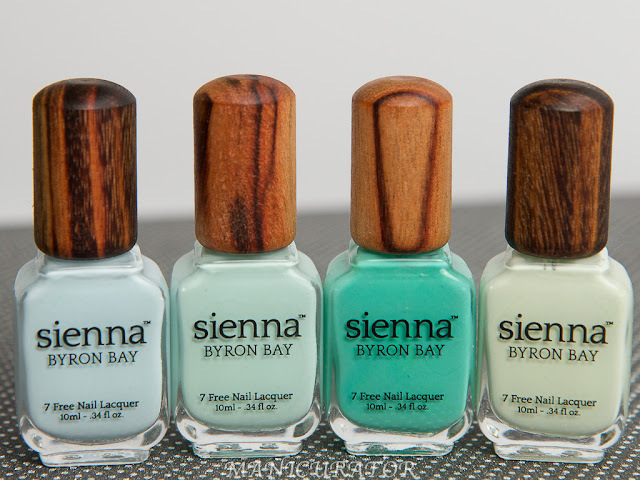 For more information, please visit www.chinaglaze.com or follow China Glaze on Facebook (@ChinaGlaze), Twitter (@ChinaGlazeOfficial), Instagram (@ChinaGlazeOfficial), Pinterest (pinterest.com/chinaglaze) and YouTube (youtube.com/chinaglazeofficial). Yay I entered! The glitters are SO pretty!!!!!! Beautiful, beautiful swatches, Victoria!! 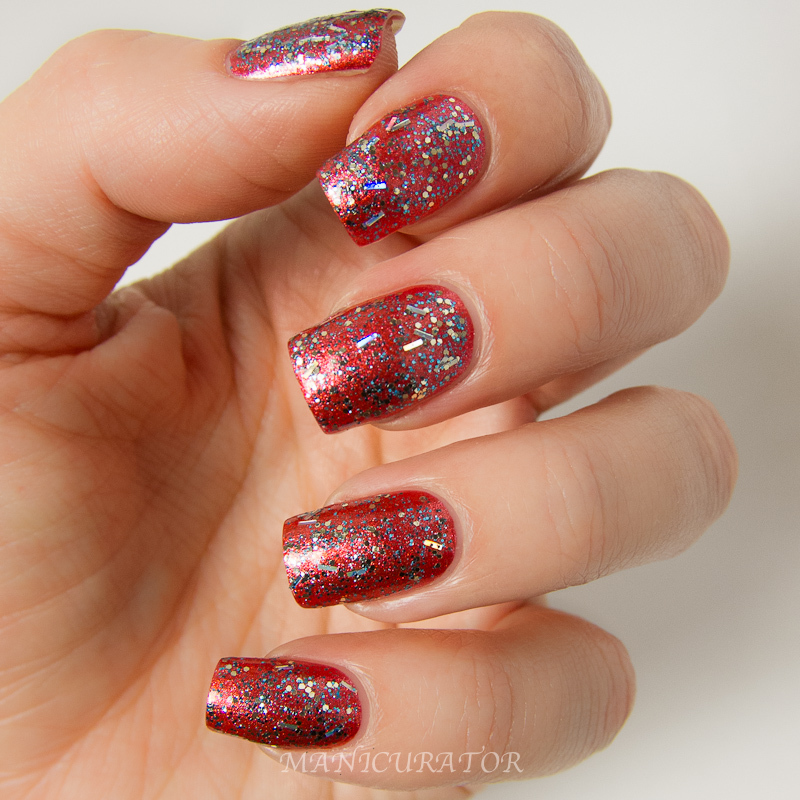 I love the microglitters! WOW the Just Be-Claws & Travel in Colour combo is SO pretty!! Wowza! Your swatches are amazing! These are all gorgeous! 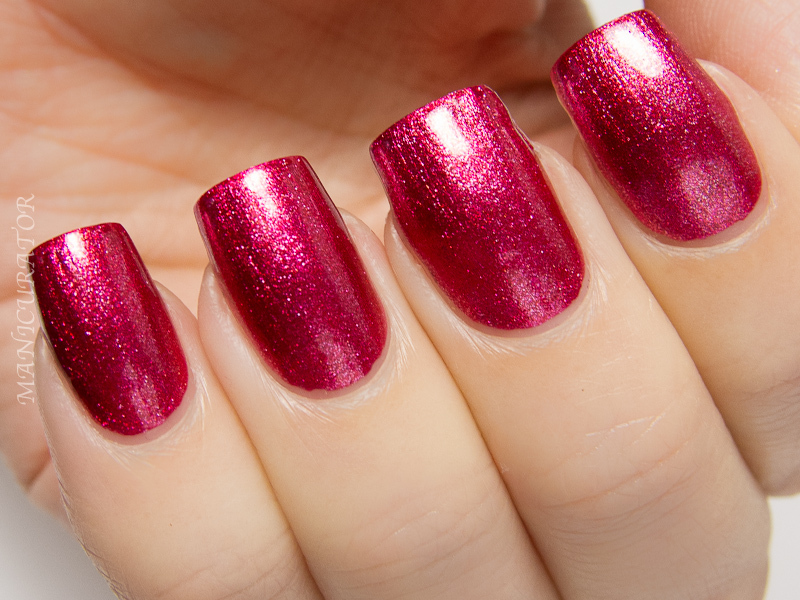 I'm still undecided on There's Snow One Like You on myself, but love your swatches! I really love Just Be Claws! Gorgeous! would love to see that red (JUst be clause ) compared to Cranberry splash, also china glaze because they look almost identical. Wow! I'm overwhelmed by all the giveaways lately! Thank you so much! 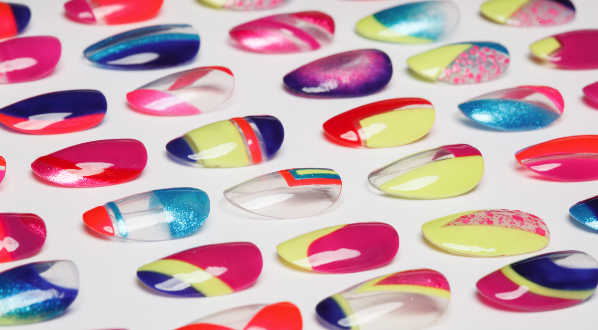 CHina glaze is starting to give Indie polish makers a run for their money. I am loving the glitters!!! Amazing giveaway as well. Thanks. All Of Them Are Beautiful Color's Love Em All!!!! !